AmazonBasics Microfiber Sheet Set - Queen, Dark Grey Just $16.99! You are here: Home / Great Deals / Amazon Deals / AmazonBasics Microfiber Sheet Set – Queen, Dark Grey Just $16.99! 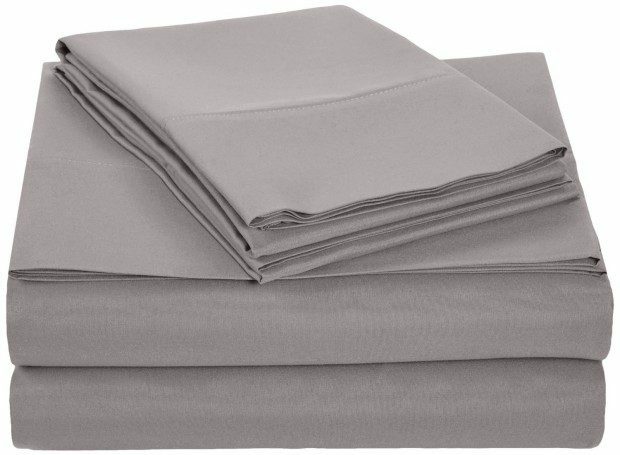 AmazonBasics Microfiber Sheet Set – Queen, Dark Grey Just $16.99! Get the AmazonBasics Microfiber Sheet Set – Queen, Dark Grey for Just $16.99! Shipping will be FREE with Amazon Prime or an order of $35 or more.